2397 - Tank Top and Sweater using Supersoft Aran Leaflet with designs for a Tank Top and Sweater using Sirdar Supersoft Aran. 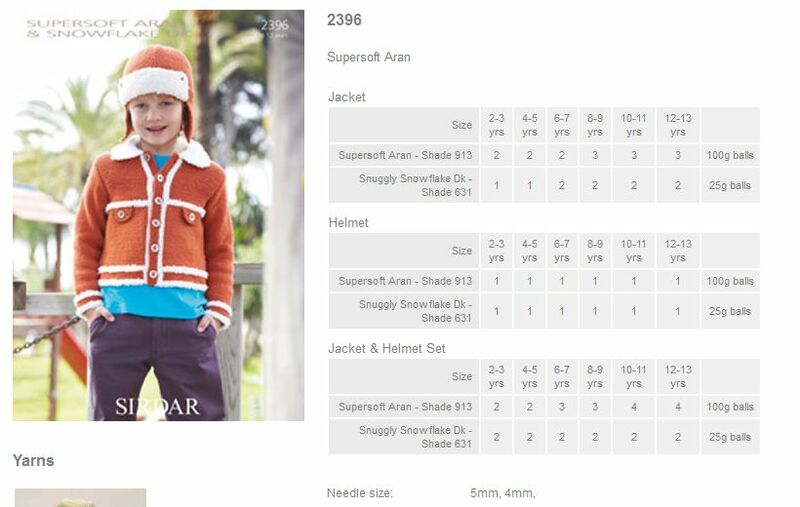 2396 - Jacket & Helmets using Supersoft Aran Leaflet with designs for Jacket & Helmets using Sirdar Supersoft Aran. 2395 - Round Neck and Polo Neck Sweaters using Supersoft Aran Leaflet with designs for Round Neck and Polo Neck Sweaters using Sirdar Supersoft Aran. 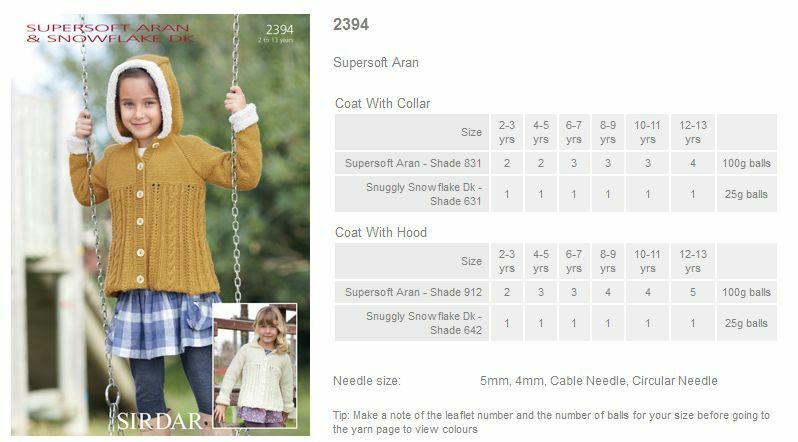 2394 - Coats with Collar and Hoods using Supersoft Aran Leaflet with designs for Coats with Collar and Hoods using Sirdar Supersoft Aran. 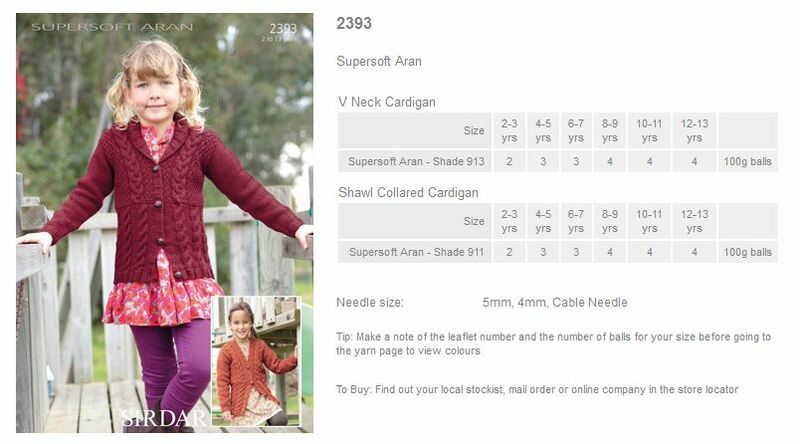 2393 - V Neck and Shawl Collared Cardigans using Supersoft Aran Leaflet with designs for V Neck and Shawl Collared Cardigans using Sirdar Supersoft Aran. 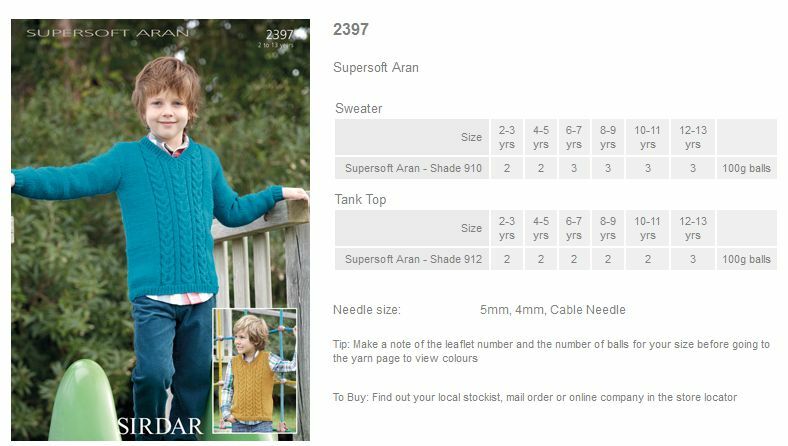 2392 - Round Neck Sweater and Wrap-Neck Sweater using Supersoft Aran Leaflet with designs for Polo Neck and Round Neck Sweaters using Sirdar Supersoft Aran.